The City of Derby Academy project began after the loss ofthe local community school buildings due to fire. Today, this Academy educates 800 11-16 year old pupils and serves the southern part of Derby city. Derby City Council recognised these unfortunate circumstances as an opportunity to create a sustainable school with the future in mind. The chance to introduce an energy efficient building design could not be passed up. Part of this design introduced the inclusion of biomass heating. 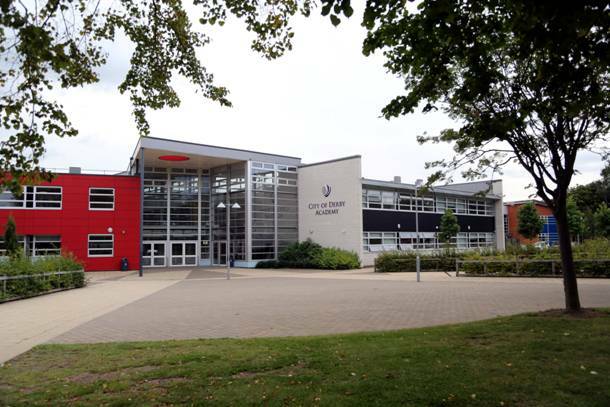 Specified through Balfour Kilpatrick, Rural Energy designed, installed and commissioned a 2 x 500kW Herz BioMatic biomass heating system to provide heat and hot water to the brand new academy. The 1MW system is fed with wood chip and housed in a purpose built energy centre. Rural Energy was able to take advantage of the sloped landscape for the construction of the energy centre in order to provide a fuel store that is semi-underground. This allows for pneumatic deliveries to be tipped into the fuel store from the top of the slope.